> Versatile, reliable motion controller up to 8 axes on a single card. > Can control Stepper, Servo and Servo Hydraulics. 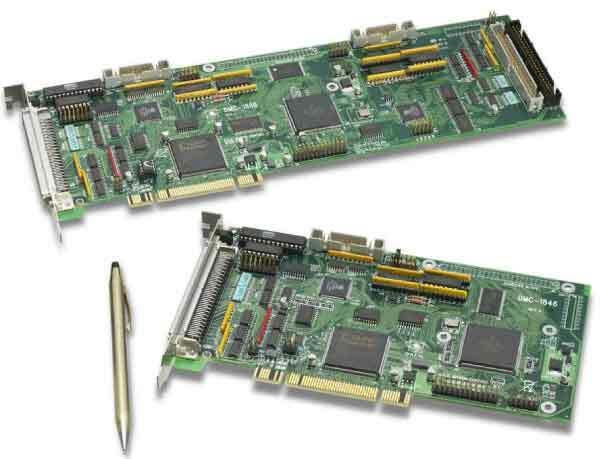 > Various bus options like PCI, ISA, Compact PCI, PC/104, VME. > Standalone Controllers come along with various communications options like RS232, RS485, USB and Ethernet. > These controllers are capable of Point to Point positioning, Linear and Circular Interpolation, Contouring, Electronic Gearing and Electronic CAM. > Other interfaces like G-Codes, CAD, HPGL, LABVIEW, Wonder Ware etc. are also available. > They have 24 micro seconds servo update rate per axis, 16 bit motor output DAC, 16bit ADC, 22 MHz pulse rate encoder feedback for Servos, 6MHz pulse rate for Steppers, Sinusoidal Commutation for Brushless Motors, High Speed position latch, High speed encoder compare out, I/O functions and timers for PLC tasks, Remote I/O Modules, flash EEPROM for firmware updates, program, parameter and array storage. EDM Machines, Routing Machines, Laser Cutting Machines, Labeling Machines, Coil Winding Machines, Glass Cutting Machines, Co-ordinate Inspection Machine, Semiconductor test and manufacturing etc.